Guidelines for Warehouse Inspection by Nigeria’s NAFDAC - Law Firm in Nigeria - Lawyers in Nigeria. 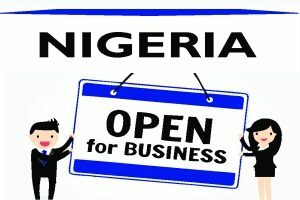 Lex Artifex LLP, law firm in Nigeria, has introduced the F&D Helpdesk to assist individuals and companies involved in the manufacturing, distribution, exportation, and importation of regulated food and drugs in meeting the requirements set by Nigeria’s National Agency for Food and Drug Administration and Control (“NAFDAC”). This publication gives a snapshot of the regulatory guidelines for food and drug warehouse inspection by NAFDAC. Warehouse inspection is a prerequisite to issuance of Chemical Import Permit or Listing certificate (authorization to market chemicals). · The letter of application must include the names of the chemicals, the quantities of the chemicals and uses for which the chemicals are intended. 4. Two (2) passport photographs of the technical officer with name and company written on the back of the passport. 5. Evidence of the appointment letter, acceptance letter, and credentials of the technical officer. 6. Standard Operating Procedure (SOP) for storage/handling of chemicals duly signed by Managing Director/CEO or Technical officer with name and designation. 10. Evidence of previous Chemical Import Permit indicating importation and Permit to clear (Not applicable to new applicants). 15. Medical Fitness Certificate for the technical officers (this should be done biannually). Through appointment as legal representatives and solicitors, Lex Artifex LLP can assist food and drug manufacturers, exporters, importers and distributors in filing the application and all the required documents with the relevant authority in Nigeria. Upon satisfactory inspection of the warehouse, the Permit applied for is processed. For unsatisfactory inspection, a Compliance Directive is issued within two (2) work days. · A processing period of fifteen (15) business days from the time of submission of the application should be allowed. · Warehouse Inspection is conducted annually for importers and marketers of restricted and agrochemicals. It is conducted every 2 years for importers and marketers of industrial and laboratory chemicals. All documents must be in English language. 1. A technical officer with scientific background with a minimum of Ordinary National Diploma; OND or its equivalent shall be responsible for explaining and discussing the exact chemical nature and use of the items for which application is submitted. He is also responsible for the handling and storage of the chemicals. 3. No technical officer is allowed to represent more than one company (subsidiaries included). 1. The facilities provided will depend on the nature of the chemicals in the warehouse. Some chemicals are required to be stored under controlled (below ambient) temperature to maintain their potency for the validity period. 2. Companies that intend to store thermo-labile (heat sensitive) chemicals should provide a cold room/refrigerators, cold boxes or an air-conditioned room depending on the specific temperature required. 3. Other facilities required for chemical storage include adequate illumination, ventilation, provision of pallets, First Aid Facilities, Personal Protective Equipment, and Fire extinguishers. 4. Chemicals should be stacked on pallets away from the walls with adequate space for movement within the warehouse. Status labels should be used accordingly. 6. Expired, obsolete or damaged chemicals should be separated, quarantined, documented and reported to the Agency. 1. All Chemicals should be properly labeled according to the Globally Harmonized System (GHS) of labeling and classification of Chemicals. 2. Chemicals should be labeled in English and should include but not limited to the following-Brand/Generic name, batch number, production date and expiry date, name and the address of the manufacturer, Hazard symbols, country of origin, net content/weight, viscosity, specific gravity, flammability, percentage purity. 1. Personnel are to be provided with nose masks, hand gloves, eye goggles, overalls, and safety boots. To learn more about the Lex Artifex LLP’s F&D Helpdesk and how we can help you with your food and drug warehouse inspection by Nigeria’s NAFDAC, please email: lexartifexllp@lexartifexllp.com; call +234.803.979.5959.